Reference your sent email campaign with the archive URL. This is a URL of the email design that was sent to your subscribers. Archive URLs stay active for as long as your WordFly account is open. Where can I find the Archive URL? 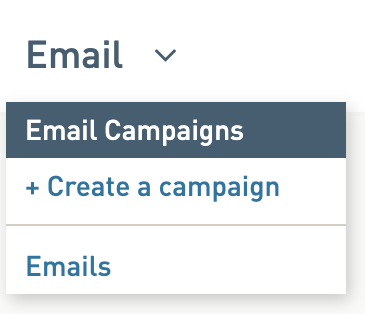 Every email campaign in WordFly has a unique archive URL you can save to reference the email design that was sent for a specific campaign. You can easily export all your archive URLs using any campaign metric export under Reporting > Export Data. Learn more. 2. Select a Sent Campaign. Archive URL's are only available for sent Campaigns. 4. On the right side above soft bounce data you should see your Archive URL. Copy this URL. This link will always link to the email template connected to this Campaign. You can personalize the archive URL data fields for public facing promotions or other use. (Optional) From the sent campaign Send tab, select 'Customize the dynamic data'. This will open up a small editing window which will allow you to show off how the email is personalized for the subscriber. Can I delete a campaign or campaign email template? Learn more here about deleting email campaigns, email templates and subscriber lists.